Australian Rules Football is such a core part of the Australian culture although, for a large number of the growing multicultural communities in SA, footy is a relative unknown. For many new refugees, immigrants and other new arrivals, making the transition in to the Australian lifestyle can be a very hard process and fitting in is often one of the hardest parts of their move. AFL is a great platform to promote positive social inclusion and the aim of the Inclusive Crows Programs is to help make that transition easier for the wide range of cultural groups that call South Australian home. 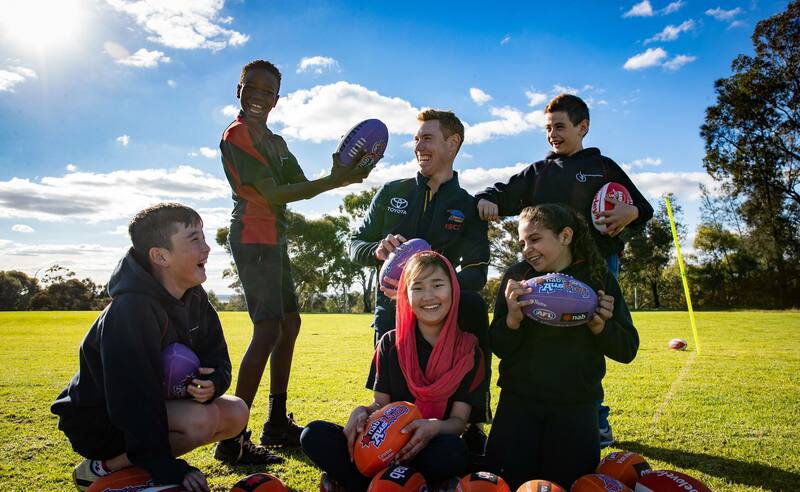 The Adelaide Football Club is reaching out to the multicultural communities of SA to help educate and introduce them to Aussie Rules Football. For Further Information or to register your interest in the AFC’s School Programs please contact Andon Jafari.